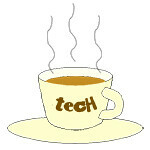 IdeaPad « Tech bytes for tea? The third of four large annual IT exhibitions in Singapore is here again, this time at the Singapore Expo, Halls 5 and 6. COMEX will open from 12 noon to 9 pm (Admission FREE). Floor plan and promotion flyers below. COMEX 2013 (5 – 8 September) at Singapore Expo, 12 noon to 9pm, admission Free. For COMEX 2013, I’ve compiled promotions and flyers from selected exhibitors in a photo album on the tech4tea.com Facebook Page. You can browse the album or directly access a specific flyer via the list of links below. ASUS desktops, All-in-Ones, laptops, Ultrabooks, tablets, phablets, smartphones, monitors, projectors, wireless networking equipment. Dell desktops, All-in-Ones, laptops, Ultrabooks; and monitors. Epson single-function printers, scanners and projectors, as well as multi-function inkjet and laser printers. Fujitsu notebooks, Ultrabooks, tablet/laptop hybrids and PC accessories. Fuji Xerox DocuPrint monochrome/colour laser printers for personal, SOHO or SME use. Monochrome/colour inkjet/laserjet printers and accessories, including mouse, keyboards, headsets, speakers, laptop bags and backpack, webcams and batteries. Jabra audio accessories, wireless headsets, speakers. Lenovo PCs: All-in-One desktop computers, multi-mode laptops, Ultrabooks, and hybrid notebook/tablets. M1 mobile, mobile broadband, home broadband, and MiBox TV. Netgear networking equipment eg. switches, routers and media streamers. Nikon CoolPix compact cameras, Nikon 1 mirrorless interchangeable lens cameras, as well as DSLRs. Norton security software solutions: Norton 360 Multi-Device, Norton Internet Security, Norton AntiVirus. nubox Apple products and accessoires. Olympus compact or tough cameras, DSLRs, mirrorless interchangeable lens cameras, lenses and accessories. Seagate storage products – hard disks, personal cloud storage/backup and media streaming solutions. SingTel mobile, mobile broadband, home broadband, and Mio TV. StarHub mobile, mobile broadband, home broadband, StarHub TV – for home use and for businesses/enterprises. tech@vogue accessories for smartphones, tablets and PCs. TomTom portable navigation GPS devices, car chargers, phone mounts and Nike+ SportWatch GPS. WD storage products (hard disks and personal cloud solutions) and HD Media Player. With more than 830 exhibitors, COMEX claims to be Singapore’s biggest IT and consumer technology exhibition. Below are the floor plans for the exhibitors. Floor plan for COMEX 2013. Lenovo today announced its new line of Windows 8 touch-optimised devices – the thin and light IdeaPad U310 Touch (fr S$1,199) and IdeaPad U410 Touch (fr S$1,299), as well as the IdeaPad Z400 Touch (fr S$1,199). All are already available now. From left: Lenovo IdeaPad U310, Z400, U410 Touch. The new line of touch screen laptops are equipped with 10-point multi-touch screens that compliment a mouse and keyboard. The new line of touch screen laptops ship with up to 3rd generation Intel Core i7 processors and the latest NVIDIA GeForce graphics with DirectX 11. The IdeaPad U310 Touch and U410 Touch are stylish in design and are only available in Graphite Grey. From just 18mm thick and weighing up to 1.75kg, these Ultrabooks are thin, light and extremely mobile – perfect for on-the-go computing. Ultra-responsive, they wake up from sleep in just one second with Instant Resume, and enjoys extended battery life. The IdeaPad Z400 Touch is ideal for multimedia entertainment.